Giving Panhandlers a New &#8216;Plan A&#8217;: a Pro Bono Assignment for HR Professionals? 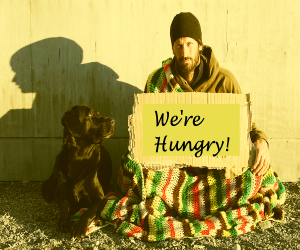 Giving Panhandlers a New ‘Plan A’: a Pro Bono Assignment for HR Professionals? Imagine the public relations coup, the community good will, the personal and professional satisfaction, and the gratitude of those helped, if a recruiting firm (or individual recruiter) were to take to the streets to provide job assistance to able-bodied, drug-free, sane and sober panhandlers. That description is not an oxymoron; the next panhandler who reaches out to you may be all four of those—and one more: wanting help to get off the street, not to stay there. The immediate, dismissive response to that idea is likely to be that it will be a waste of everyone’s time and energy. Panhandlers, it is said, want money, not jobs; they lack the skills. health, sanity and/or sobriety client employers are looking for; and recruiters have a better chance of helping everyone else, which spells “unacceptable opportunity cost”. But let me illustrate the possibilities with a very modest example of what can be done, even without the resources and expertise of an HR manager or an established independent recruiter. 5. “money that can be spared, but only altruistically or unwisely” (like the spare tire in the trunk of Bill Gate’s car that has a tire with an evident slow leak). Given the sense of entitlement and aggressiveness so often displayed by panhandlers, ,many (falsely and wishfully) assume that my change falls into categories #1, #2 and #3, when in fact, it’s almost always #5. Hence, from time to time, I offer my job Plan A as a constructive alternative to their panhandling Plan A.
I have, more than once, suggested that instead of simply panhandling, they should sell on-the-spot services, including telling a joke for fifty cents. No joke. Really. After demonstrating how to pitch that and providing some of my favorite jokes, I usually get a favorable, receptive response (allowing that it’s merely pandering to my ego to soften it up for resumed panhandling). In one instance, the panhandler practiced on me, told a couple of great jokes and got paid for it. Offering to provide a service neutralizes much of the general discomfort, resentment, ambivalence, suspicion, distressing guilt and hostility passersby often feel when accosted for a handout. The panhandler can experience something akin to “employee engagement”, professional pride, a sense of productivity, a good skills-challenge match, self-sufficiency (through self-employment) and a rapport with his benefactor-clients. The sense of accomplishment and the experience of creating value for others can serve as a proactivity “seed” that can serve to overcome feelings of helplessness and uselessness and catalyze other steps toward gainful employment. In a slightly different scenario—that of the musical busker, I have offered a different plan: Although street musicians, to the extent they are providing a public service, are not panhandlers, the service they are providing can nonetheless be confused with panhandling (especially when those performing outside liquor stores are clearly not musicians at all), because they do not have an explicit employment agreement with their patrons, who may perceive them as merely using music as a panhandling tool, much as a “We’re hungry” sign and pitiful pet pooch hunkered down on cardboard next to his owner are employed for that purpose. My alternative income-generating plan I suggest to them is that instead of performing on a random-exposure basis, they should teach passersby some musical form or piece. In those cases, of which there are many, in which the musical level of accomplishment was virtually zip, I’ve taught panhandlers how to play a sophisticated-sounding, yet easily learned folk-music, guitar-picking technique (called “Travis picking”). which most novices are dazzled by or a Chicago blues riff—particularly relevant to non-musical “musicians”, who after a 2-to-5-minute lesson with me, can teach passersby the same thing in the same time for, say, $2. Do the math: If the (panhandler turned) busker can engage 5 people per hour, that will secure a wage of $10 per hour—better than minimum wage. Even if only 10 people per day accept the offer, e.g., 2 per hour over 5 hours, that’s still $600 per month (on top of any other legitimate income sources). Offer a card with key free employment, health and housing and resume services listed. Make spontaneous suggestions and recommendations, especially a new “Plan A”, when it is clear that these will be well received and possibly acted upon. When the details warrant it with a prospect with strong credentials, a helpful, ideally street-savvy recruiter might be able to go beyond vouchers and vouch for his “discovery” in a presentation to a client employer. Of course, accomplishing this last-mentioned mission might change one aspect of the assistance rendered the erstwhile panhandler. It would no longer be pro bono, if there’s an employer-paid commission.